Maine Window Tinting, Automobile Window Tinting, Residentail Window Tinting, Commercial Window Tinting, Twin City Tint, Brewer / Bangor Maine. Our window tints and security films will reduce the suns glare while driving and also offer UV protection for you and the interior of your vehicle. In addition it will decrease outsider's visibility of what is sitting inside your vehicle and hopefully discouraging them from breaking into it. Driving comfort and energy savings. Window film is designed to reject and absorb the solar energy that heats up the inside of your car. Your car can be up to 66% cooler during hot summer days with the right window film. This reduces the need to use your air conditioning, thus lowering the load on an engine & you're a/c unit and improving miles per gallon. 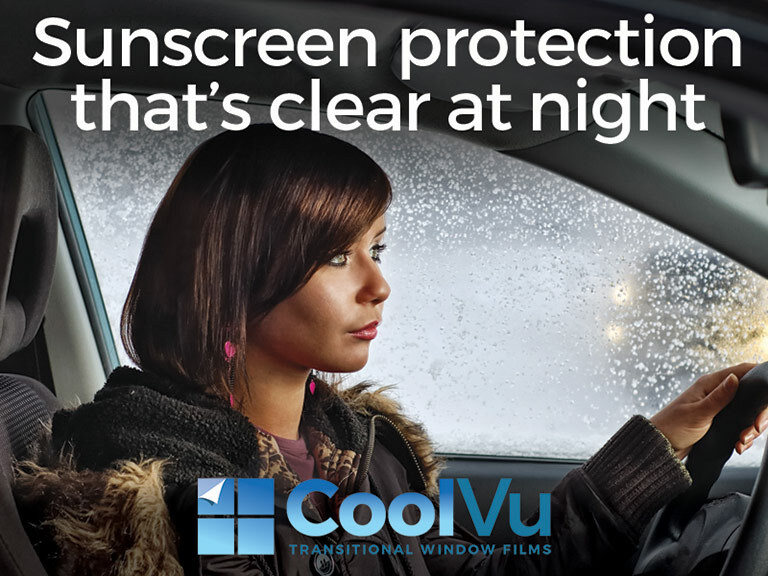 UV protection for you and your vehicles interior. Our window films blocks up to 99% of the harmful UVA and UVB rays from the sun that can cause skin cancer. Our window films are like applying an SPF rating of 250 or more! In addition to protecting your skin it also reduces vehicle interior fading. Safer and more enjoyable driving conditions. Window tinting improves your visibility by reducing the glare from the sun, snow and oncoming headlights. Clearer vision equals safer driving. Window film helps hold glass together when shattered preventing dangerous shards from harming vehicle occupants in the event of an accident. Tinting your vehicle can increase privacy and even help prevent theft by reducing the outside view of possessions inside the car. Window film is also far less expensive than privacy glass. Different films can be applied to back and side passenger windows to increase their privacy while using different films on the front windows to preserve the driver's view. Note: All window films will be applied in accordance with local tint laws. The combination of heat rejection and UV protection can prevent sun damage to your car's interior, protecting upholstery and vinyl from cracking and fading, maintaining the interior of your car longer. Sometimes it's just all about the look! Window film can give your vehicle a customized sleek look. With the variety of shades and colors, you can customize your car, truck or SUV with a look you desire while gaining all the other benefits. In order to pass Maine's motor vehicle inspection, vehicles with window film applied to the driver and/or passenger window must have a valid tint certificate proving that said windows measure 35% higher VLT (Visible Light Transmittance). 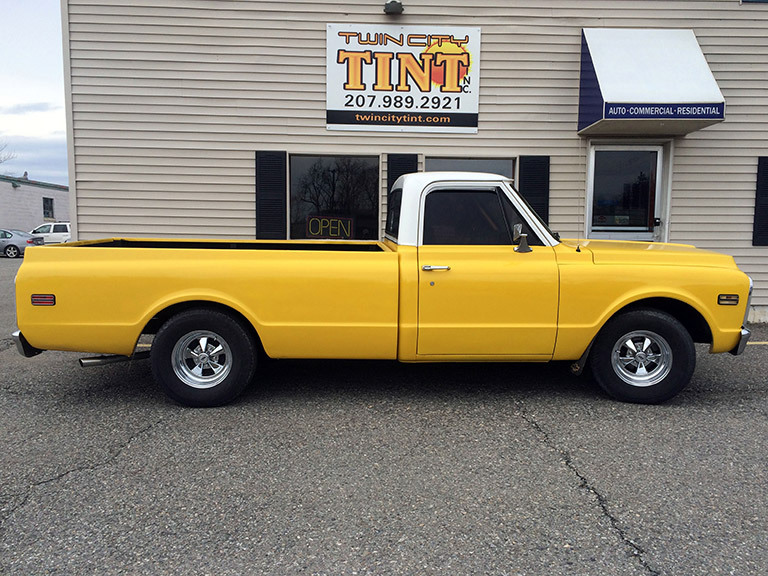 At Twin City Tint we follow Maine's motor vehicle inspection laws and provide you with a valid tint certificate after your automotive window tinting services are complete. Copyright © 2019 Twin City Tint. Design and hosting provided by PHD Consulting, a Maine company.